Everything is even more Awesome! We've teamed up with Warner Bros. Pictures to give you the chance to win one of eight family passes to the Irish premiere screening of The LEGO® Movie 2 on February 3. 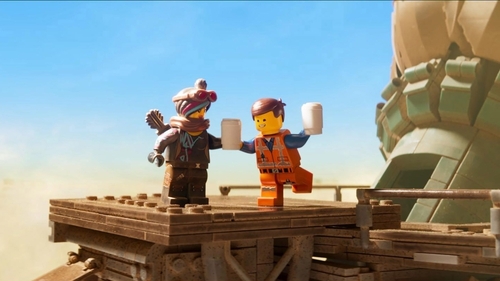 The much-anticipated sequel to the critically acclaimed, global box office phenomenon that started it all, The LEGO® MOVIE 2 reunites the heroes of Bricksburg in an all new action-packed adventure to save their beloved city. THIS COMPETITION IS NOW CLOSED. THANK YOU TO ALL WHO ENTERED. It’s been five years since everything was awesome and the citizens are now facing a huge new threat: LEGO DUPLO® invaders from outer space, wrecking everything faster than it can be rebuilt. The film opens in 2D and 3D beginning Friday, February 8, 2019. *Standard RTÉ competiton rules apply, a copy of which is viewable here. A family pass comprises of four tickets. The competition will close on Monday, January 28 at 12pm. Winners will be chosen at random from all valid entries, and will be contacted via email on the afternoon of January 28. © 2019 Warner Bros. Ent. All Rights Reserved" "© 2019 The LEGO Group.